Just for you all, here’s some music I LOVE when writing. Note, all four videos will lead you to more great music, which is why I’m able to limit this post to only four. I have not blogged in several days. Days that feel very long to me, but probably aren’t that long. You guys have all guessed the reasons, it’s because Camp NaNoWriMo just started! And because it did, man, I feel strange. So-o, I can try to write a blog post…. NaNoWriMo hasn’t been like it usually is. That means, I’m fighting to get words down on the computer, not the usual just typing for awhile and I got enough. I suspect I’m becoming more like the other Nano’s I’ve heard about, the people who have to fight to write. But! I am getting words down. I have 12,365 at the time of this post. Also I am aiming to get 80,000 words instead of 50,000, so that’s another reason it might be harder. I just got some Starbucks coffee that I can’t get over. I feel like I’ve already drank too much, I’ve got all these jitters–except that I haven’t drank any. The coffee is a Dark Komodo Dragon blend from Indonesia….And the coffee jar’s name is Alfred Shaffer…. He is sitting right next to me, and since he is just a mason jar, I can see all the coffee beans smiling up at me. Lovely….I had a humorous experience when I first filled up the Alfred Shaffer. I was so happy I started running around my room, using the jar as a shaker, and singing to the Happy Smiler’s song, “Coffee, coffee, coffee, we all want some coffee, we all want some coffee every day, day, DAY, daayy!” Then my little sister, Gracie, finally flagged me down and showed me that she was on the phone. Thankfully, she hadn’t reached the other person yet so only my family heard me, and that, they ought to be used to by now. So far in my NaNoWriMo novel, I can already see the path that God is leading my character on, though she doesn’t see it yet. Everything that happens leads to another in God’s perfect plan. So, what’s happened? A miscarriage. That prompted Lassie to step forward and help a little black orphan who was caught stealing. Her husband in a sudden rage through the little guy, Jim, out of the house–and Lassie took him to Silvia. Because Lassie was thinking about Jim, she started reading James….That’s where we are. Everything is so rough right now. 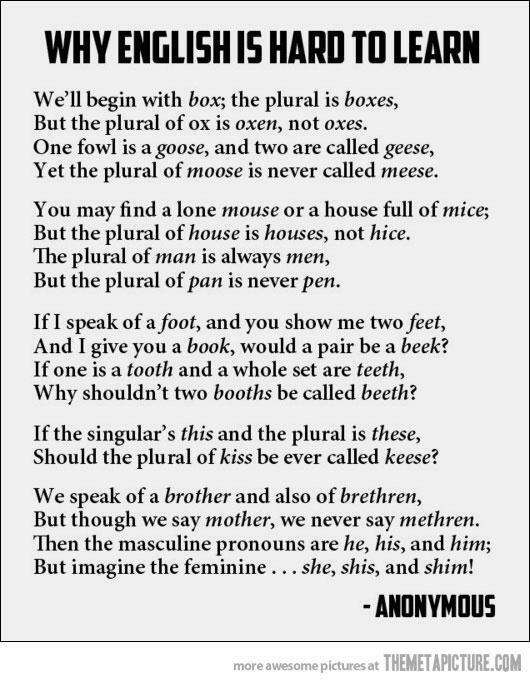 So very, very rough, I’d be ashamed to let anyone read it. There is a scene though, the very first one that I wrote and revised before the month began. It was really part of planning the novel. So, I’ll give you that–and quit this blog post. Off to brew some coffee! Yeah, I need help when I’m planning for planning. I wrote down what all I need to outline, starting tomorrow at 5:30am. Take not of important character traits that must be there for the story to work. Note these in a synopsis somewhere. It’s really time to sign up, people! The site gets rebooted in just a few days, and we’ll be counting down until the start. It’s a month away! I’m so tempted to write all these ideas down and scatter them around for everyone to see, but I can wait a little longer, until a week before hand. Okay, I’ve been leaking ideas, yes, but believe me! I’m holding a LOT back! I’ve got much more research to do, more character sheets to write, more outlining and planning and synopsis writing! Yes, yes, yes. I love it. I can’t wait for April. I think I like Camp NaNoWriMo more than regular NaNoWriMo. I don’t really know why. If you haven’t thought seriously about, do so now. You’ve had a story, sub-story, idea, or brief thoughts of one in your mind before, yes? You enjoyed reading books, yes? You’ve tried before but didn’t make it, yes? You want a custom-made book yes? You want support by me and everyone around, yes? The way to become a better writer is to write, yes? You want to invent things for yourself, yes? You want an excuse to get on the computer yes? You want an excuse to drink coffee, yes? There! 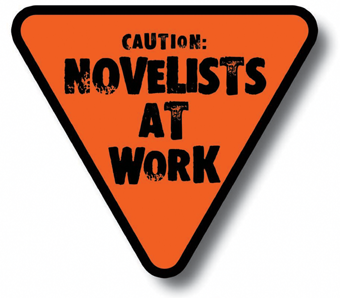 For whatever reason it may be-you want to do Camp NaNoWriMo– yes? If I’ve annoyed you into it, click the picture below and sign up. We’re going to have fun, and we’re going to get something out of it too. Invites are out! Camp NaNoWriMo is Next! Come one, come all and join in the insanity! 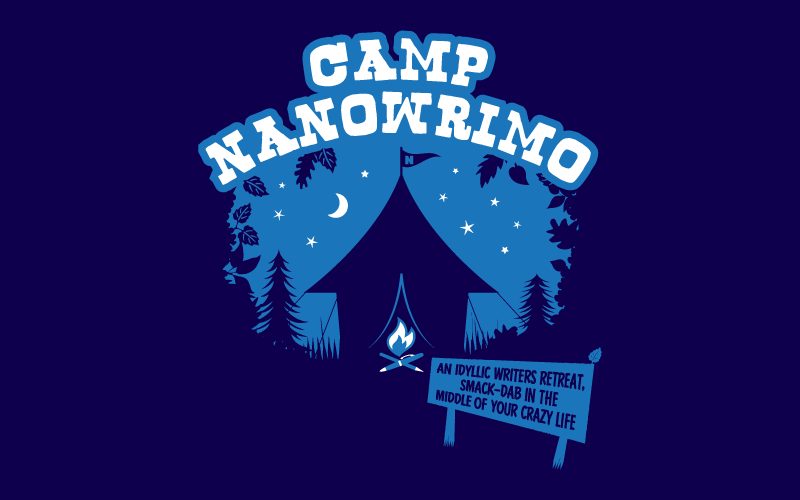 As I have long mourned, National Novel Writing Month only happens once a year, but Camp NaNoWriMo happens twice. Once in April, again in July. I’m planning on doing it in April and if enough of you join me for July, I just may go for that one too. When: You can sign up anytime to add your name to the roster. Writing begins 12:00:01 AM on April 1, and again on July 1. To be added to the official list of winners, you must reach the 50,000-word mark by 11:59:59 PM on the last day of the month. Once your novel has been verified by our web-based team of robotic word counters, the partying begins! Come join us in the land of the bold, the ambitious, the relentless; come spend a month of wild literary abandon at Camp NaNoWriMo 2012! Click the picture and zap to your writing camp where words get written and books come out! -ELBUB55CLGRL22LELUVSfun, camp, marshmellows, writinggloves, singingaroundthefire, tinwhistles, deepcharacters, burntwood, rain, grassafterastorm, freshnightair, huggingpeople, dancing, bangingpans, stomping, andsleeping. P.S. I want to know who is doing it! I won’t let you quit that way.